A ready-made truffle meal. 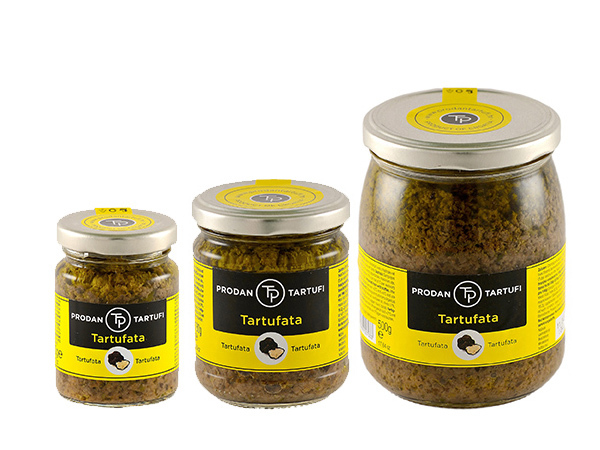 It goes great with Istrian fuži and all other kinds of pasta and is an excellent addition to sauces in meat specialties. Button mushrooms (Agaricus bisporus) 55%, extra virgin olive oil, sunflower oil, olives 17%, black truffle (Tuber aestivum) 4%, capers, aroma, spices.